The sister act, Laura and Kate Mulleavy design Rodarte, a fashion brand which could easily be likened to a cinematic odyssey. Their clothes — fanciful, decorated with intricate embroideries and bold embellishment — have caught the eyes of Hollywood starlets like Kirsten Dunst and Rowan Blanchard, Nicole Kidman and Brie Larson. Following last season’s melancholic whimsy in a rainy cemetery at New York Fashion Week, they opted out of the official fashion week schedule, transporting the show to their native Los Angeles, where they grew up. From Swing Time to Singing in the Rain and Cabaret, the girls trod the kitschy territory of musicals from the 1930s to 1970s, borrowing ideas from memories of childhood. (The Mulleavys wrote and directed their own film, Woodshock, released in 2017.) 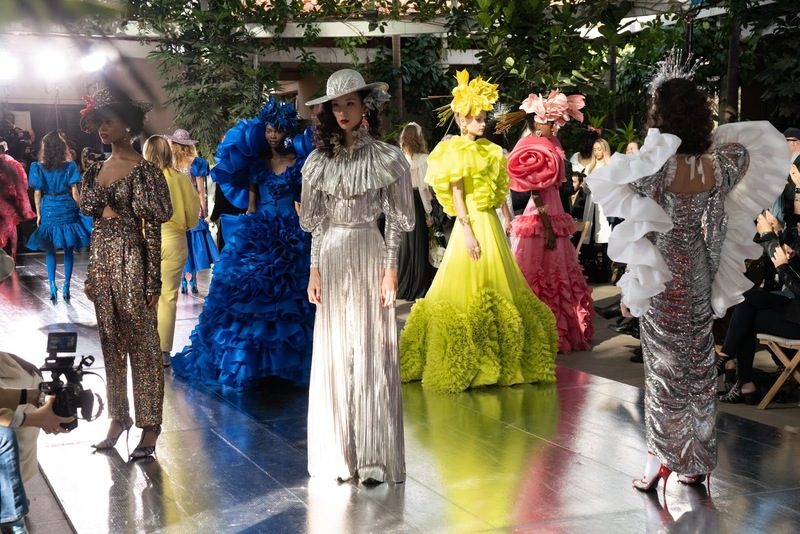 Exuding the camp, theatrical spirit of Old Hollywood, the sisters sought inspiration from an era of film that thrived on exaggeration — oversized bows! decadent headdresses! voluminous sleeves! One thing was for sure, they nailed Old Hollywood aesthetic. 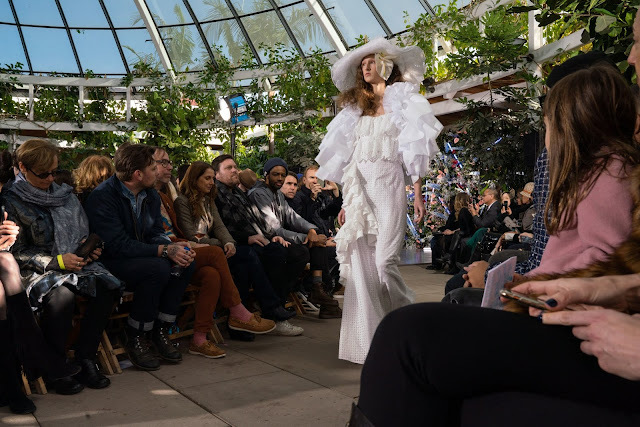 The collection was a veritable time capsule, albeit with a few modern twists hither and thither. It paid homage respectfully but things were a shot of cobalt and chartreuse away from becoming cloyingly sweet. An ounce of refinement — or a gram less of sugar — wouldn’t have gone amiss. Rodarte has never wavered to the demands of the fashion industry. If they want to send fitted harem trousers down the same runway as a sequin red dress evoking images of Dorothy’s red slipper they will. If they decide black bows, haphazardly strewn on a pretty prom dress is fashionable, they’ll run a country mile with it. The sisters are bullish in its determination to follow their hearts which can be as heartwarming as it can be insular. However, in a world that feels increasingly heartless, now is the time for personality. The Rodarte smile is beaming, bright, and white! It’s almost too good to be true.